The Kylie Jenner diet shows you how to get in bathing suit shape. Kylie Jenner has one big diet secret, which she learned from her older sister Kendall. 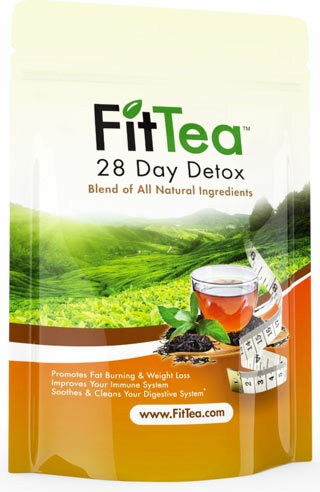 It’s drinking Fit Tea Detox to lose weight. Seeing the modeling success her sister is achieving, Kylie decided to follow her sister’s diet. So, Kylie now drinks tea because it has worked so well for Kendall. In fact, Detox Tea is a hit with both the Jenner, and the Kardashian, families. Couldn’t leave the house without my Fit Tea Detox. The purpose of detox tea, in general, is to clean out the liver and colon. These are the body’s two filtering organs. Fit Tea has an added benefit–of burning fat! That’s why the Kardashians & Jenners love this brand. Whether she’s gearing up for a photo shoot or just a killer selfie, Kylie cuts back on carbs. Even when she’s cutting back, Kylie looks for ways to eat food she likes. So, she opts for foods high in fiber that taste good. High fiber foods allow you to eat things that taste good, but with less calories. Fibrous foods don’t turn into fat. Carbs, without much fiber, do. Kylie introduced the tea, grapes and rice diet to the world in 2015. Kylie has gone on the record (Instagram) saying she loves these 3 things: Fit Tea, Grapes and Rice. Fit Tea is used to detox and lose weight. Grapes are high in natural sugar, but the fiber from the skin slows digestion down. Rice, especially the Yellow kind Kylie buys, is full of fiber. I’m into yellow rice. You cook it for 15 minutes and it tastes good. I have a weakness for french fries. Like most of us, Kylie admits to secretly loving bacon. Actually, she can’t stop professing her love for it, especially during breakfast. Organic Juice and Kale Salad. And, I can’t leave the house without my Fit Tea Detox. Kylie also touts her favorite brand, Fit Tea, as her drink of choice. Even at lunch time, she’s drinking tea. On Keeping Up With the Kardashians, Kylie Jenner was also seen drinking Lyfe tea. She also loves salad, with her favorite being a Chicken and Green Been Salad. Kylie says she can’t go a day without one thing: “Pressed Juices.” From organic-pressed juice to smoothies, she loves it all. 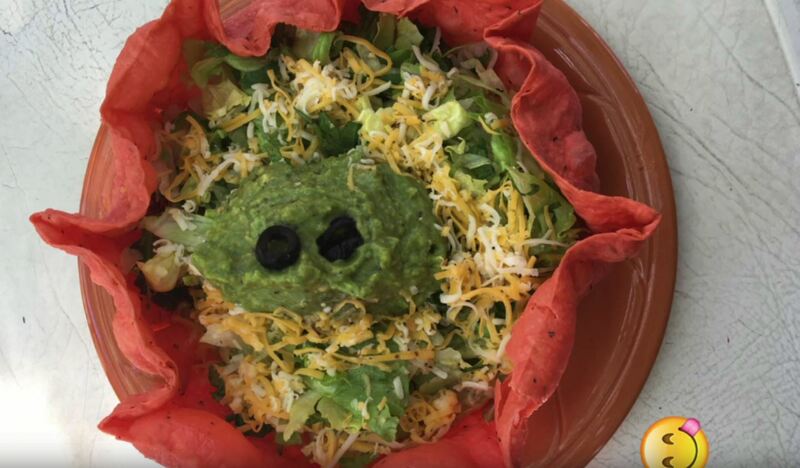 For lunch, “King Kylie” also loves to eat Mexican food, especially tacos and guacamole. 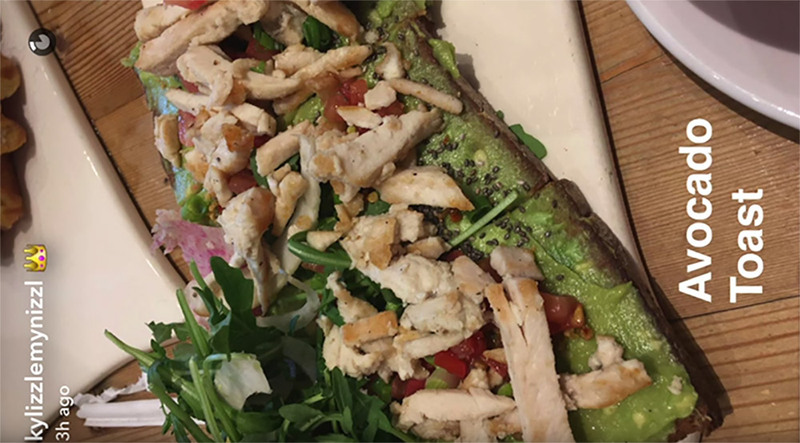 For Dinner, Kylie eats a lot of healthy, home-cooked meals. She Instagrams or Snapchats a lot of these meals. Her go-to staples are: Chicken, fish, veggies and rice. One meal was Lemon Bacon Arugula Pasta. 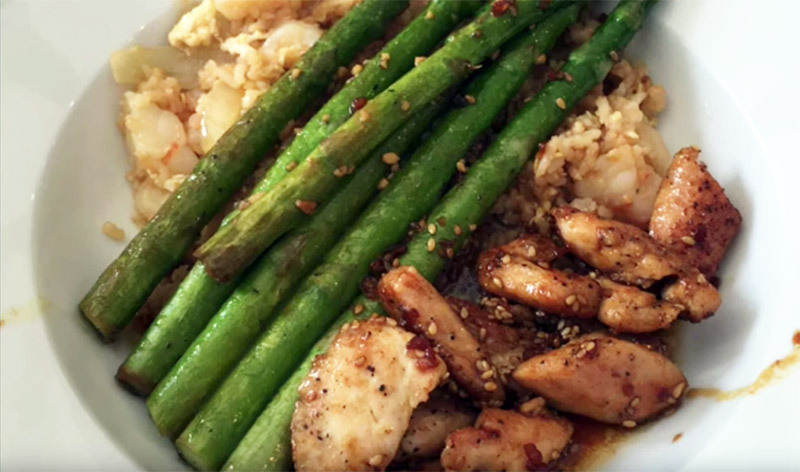 In this Snapchat, Kylie says she ate: Shrimp Fried Rice, Asparagus and Teriyaki Chicken. Kylie Jenner’s diet has to keep up with her on-the-go attitude. Burgers are one of her favorite foods. But her absolute favorite: French Fries. Here’s a pic from her recent lip-kit launch party. It shows burgers, but there were French Fries on her plate, too! She often posts meals from two popular L.A. sushi restaurants: Sugar Fish and Mr. Chao. Fresh fish, seaweed wraps and vegetables is the way to go! Kylie Jenner gained 15 pounds in 2015. After going to the doctor, she found out her weight gain was due to an allergy. Kylie Jenner found out she is lactose intolerant. To resolve this, she now drinks almond and soy milk, instead of cow’s milk. From time to time, Kylie still likes to eat cheese though! To lose weight, she avoids dairy entirely. Kylie frets at the idea she can’t eat cheese when trying to lose weight. Still, to be successful at losing weight, she has to cut out dairy completely. This allows Kylie’s body to reduce inflammation. Inflammation causes your body to hold onto as much water weight as it can. Without dairy, Kylie is able to get into bathing suit shape! She had been using it to cook everything! After dropping coconut oil from her diet, due to the allergy, Khloe lost 15 pounds quickly. Signs of a tree nut allergy, where coconut allergies are derived from, include abdominal cramps, nausea, itching of the mouth/nose/throat and shortness of breath. Kylie Jenner weighs 125 pounds or 56 kg. When Kylie gained weight in 2015, she got up to 140 pounds, or 63 kg. This was due to her lactose dietary allergy, and relationship stress. With a better diet (above) and her workout, Kylie Jenner lost weight and got back down to 125 pounds (56 kg). Kylie Jenner’s height is 5′ 6″ or 168 cm, making her 4 inches shorter than her sister Kendall. Thus, she’s knows as the shorter, but curvier, of the sisters. Sometimes they wear similar outfits, like when celebrating their 19 and 20th birthdays. Other times, Kylie snaps pictures of her own, showing off her curves, like in this bathing suit.